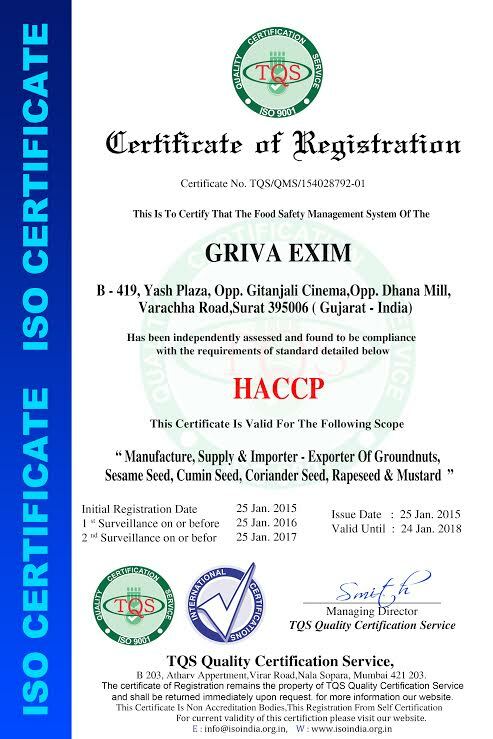 "Griva Exim" based at Surat in the state of Gujarat a western part of India. Our history goes since 2014, we are start our interest in export field of Peanuts, Wheat Flour, Maize, Guag Gum, Millet, Sesame Seed, and Rice Etc. 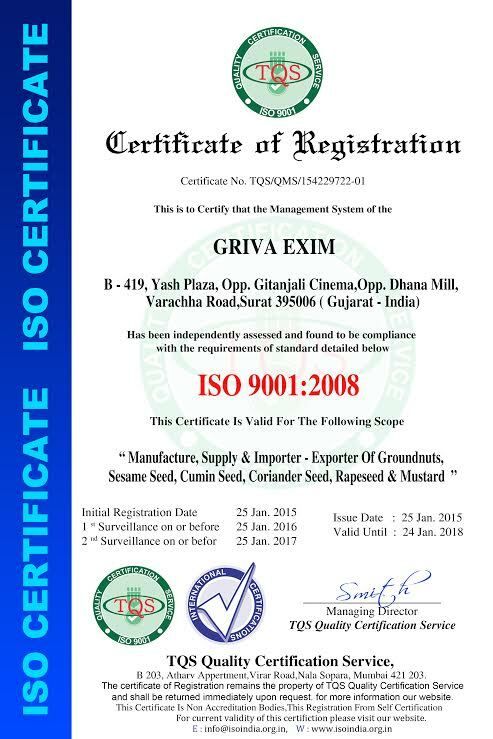 Customer was tremendously satisfied with company products and service there after we expand our company as "Griva Exim Private Limited" in 2016. We develop more perfect quality & production and increase export field in each corner of the world. We maintain very strict quality control procedures in line with the required international standards. Our distribution network enables true global supply and we are consistently expanding the number of markets served. We have dedicated sales and marketing team who are always available for product information requests, quotations, and for the provision of samples with all of our key customer relationships to ensure they receive real time support for that reason our overseas customer was tremendously satisfied with company products, quality and service.